Robert Mueller is licking his chops right now with new information involving Trump campaign manager Paul Manafort being wiretapped by the FBI as early as 2014? Exactly why Manafort was wiretapped isn’t completely clear yet, but it has to do with a Ukranian connection. Even though the wiretap of Manafort was ultimately ended for lack of evidence, no doubt this new finding will drag the Trump/Russia fairy tale on for another several months, just another distraction to obstruct President Trump from making America great again. 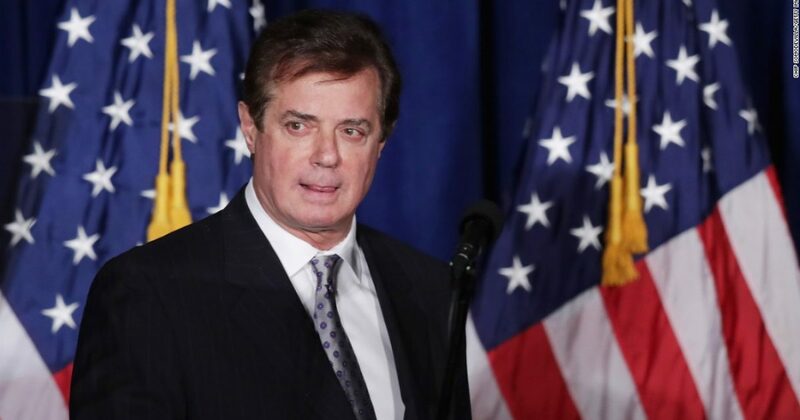 (CNN) US investigators wiretapped former Trump campaign chairman Paul Manafort under secret court orders before and after the election, sources tell CNN, an extraordinary step involving a high-ranking campaign official now at the center of the Russia meddling probe. Some of the intelligence collected includes communications that sparked concerns among investigators that Manafort had encouraged the Russians to help with the campaign, according to three sources familiar with the investigation. Two of these sources, however, cautioned that the evidence is not conclusive.Special counsel Robert Mueller’s team, which is leading the investigation into Russia’s involvement in the election, has been provided details of these communications.